Detox your body bathbomb mineral bath bomb. 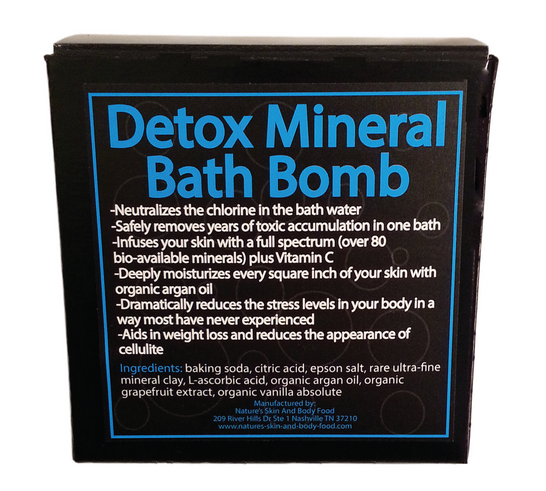 The Detox Your Body Mineral Bath bomb Is The Most Effective And Pleasant Detoxification Method You Will Ever Experience. 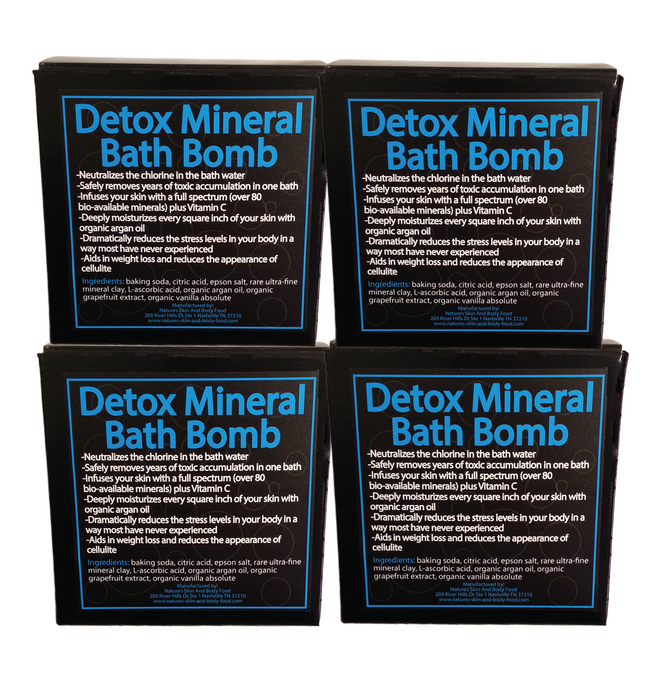 Anyone concerned about their appearance and health should use these Detox Your Body Mineral Bath bombs at least occasionally. Toxic Overload Is A Problem In Our Modern Day Society. According to the Environmental Protection Agency we are exposed to over 80,000 toxins whether it is through the air we breath, the food we eat, the water we drink or products we use. There is benefit to all forms of detoxing whether it is fasting, juicing, colonics or many others. However the best form is perspiration, sweating will remove more toxins from the tissures than other methods of detoxing. And sweating in water is more effective than sweating for example in a sauna for removing toxins. Which is why epsom salt baths have been so popular for so many years and is why we add ultra-fine Epsom Salt To Our Bath Bombs. An epsom salt bath really does work at removing toxins from the body. Chemically it is magnesium and sulfur bonded together. These two elements dissolved in bath water will permeate through the skin and cause toxins to be released and the body will increase its levels of both sulfur and magnesium which most people are deficient in. The problem with an epsom salt bath actually working is having enough epsom salt in the bath water so that the osmotic pressure of the bath water is high enough for the magnesium and sulfate ions to permeate and the toxins to be released back through the skin. Which is why we add our exclusive rare mineral clay that is reduced to a very fine particle size to the bath bomb. Its Like Putting Epsom Salt On Steroids-The Detoxing Power Is Dramatically Increased. 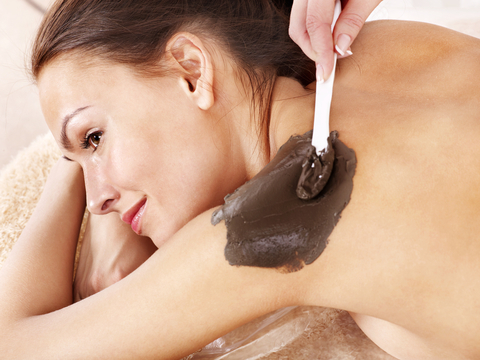 You Get the Benefits Of A Clay Bath Without The Mess. One tablespoon of this rare very fine particle size mineral clay is equal to adding several pounds of normal particle size clay to a bath. This unique clay increases the potential of the epsom salt by a factor of 46-which means you have to use 46 times more epsom salt than what is in the bath bomb to equal the effect. Clay baths have more potential at removing toxins than epsom salt because the clay greatly increases the osmotic pressure of the water-so the fulvic acid minerals from the clay and the magnesium and sulfur from the epsom salt can permeate the skin and stimulate the toxins to be released into the bath water. Our clay is a rare mineral clay that contains over 80 chelated minerals (which means they are wrapped in protein structures and more bio-available to human cells than minerals that are not) and is the only clay deposit on earth, with this wide of a spectrum of bio-available minerals that are fused with high levels of fulvic acid (which is the ultimate mineral transporter and has superior anti oxidant abilities). In order for the anti aging bath to be Truly Healthy the Chlorine Must Be Neutralized. Which is why we add vitamin C to the bath bomb. It takes a large amount of vitamin C to neutralize an average size bathtub up to 50 gallons. We add double that amount so that you absorb the extra vitamin C into your skin which has profound health benefits. This Bath Bomb deeply moisturizes your skin in a way that just rubbing lotion on your skin cannot. Relaxing in the anti aging bath water with the increased osmotic pressure from the clay and epsom salts helps push the organic Argan oil deep into the tissues. Plus your moisturizing areas of the body that are not normally getting enough lotion applied, like your back, your feet, the back of your legs and other places. There is almost 2 ounces of organic argan oil in every Detox Your Body Mineral Bath bomb. This Is One Of The Best All-Natural Health and Beauty Treatments That You Can Do In The Comfort Of Your Home. This anti-aging therapy Bath bomb Is One Of The Best Stress Relievers You Will Ever Experience. Chronic Stress is extremely detrimental to your health and appearance. All Doctors agree that reducing stress is positive for your health. The Detox Your Body Mineral Bath Bomb not only relaxes your body it relaxes your mind giving you a sense of peace with the world and your place in it. A loss of weight and Inches is normal after the bath and a smoothing and reduced appearance of cellulite is apparent. 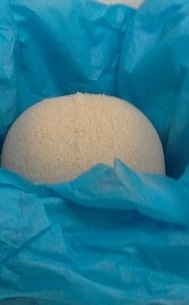 Continued Use Of Once A Week Detox Your Body Mineral Bath Bombs Enhance The Above Effects. Start Looking And Feeling Your Best Now. Directions: The Organic Argan Oil Is going to make the bathtub slippery after the anti aging bath bomb is placed in the water, be careful getting in and out of the bathtub after using the Detox Mineral Bathbomb. We highly Recommend the use of an anti slip bathmat placed in the bath tub before use. We also recommend using an anti slip mat on the bathroom floor after getting out of the bath. An added precaution would be to drain the bath, use a little soap on the bottom of the bathtub and then rinse until you feel no slip before standing up. Fill your bathtub with warm to almost hot water about 1/2 full. Immerse yourself in the water and place the detox your body bath bomb in the water. Let the detox your body bath bomb bubble and fize and disperse the ingredients throughout the bath water. Then just simply relax in the water and add a bit more hot water to keep the temperature comfortable. After 15 to 30 minutes drain bathtub and rinse with a shower. If at anytime you feel nauseous or light-headed discontinue bath. Disclaimer: If you have a medical condition or take medications please consult with a doctor before using this detox your body mineral bath bomb. Do not consume alcohol or any drug, legal or illegal before use. Do not exceed 30 minutes None of our statements have been evaluated by the FDA for medical accuracy. Will I absorb the minerals from the clay by sitting in the bath? Yes, there was a study in the UK proving that epsom salt baths increased both the levels of magnesium and sulphur in the body. 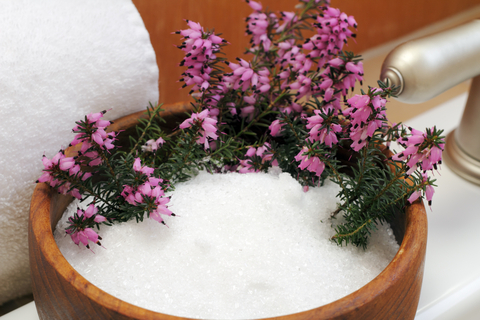 The minerals from the clay are more bio-available than the magnesium and sulphur in the Epsom salt. Does the water turn dark? The bath bomb makes the water a murky beige because of the clay and as you sit in the bath it does darken somewhat. How will I know if I am detoxing? After several minutes depending on the temperature of the bath you will feel somewhat of an energy sensation on the skin. The hotter the faster this happens. If you take cool baths you will still get an effect. Does the bathtub get dirty? No, there is no mess to clean afterward. Why is your bath bomb more expensive than regular bath bombs? Because the cost of making it is more than the price most bath bombs sell for. It is a anti aging therapy that removes years of accumulated toxins and remineralizes the body. How much is that worth to you? If you are looking for a cupcake bath bomb that turns your bathwater into colored water with a toxic fragrance then this is not for you. How hot should the bath be? That depends on you and your comfort level with heat. Raising your temperature in the bath to the point of perspiration is ideal, however even a cold bath would have benefit. How long should the bath be? Generally around 15 to 30 minutes. How will I feel afterwards? Again that is variable everyone feels a sense of relaxation some more so than others. We recommend taking the bath when your day has ended or on the weekend because you will feel so relaxed you won't want to do much of anything at least for an hour or so. Can I dunk my head in the water? Yes you can also wet a wash cloth and apply around the neck and face. Also the bath is very beneficial for the hair and scalp. Should I wash afterward? Yes, taking a shower is fine. How many baths can I take? As many as you want however we recommend waiting 24 to 48 hours between baths. How does your bath bomb compare to dead sea salts? The minerals in dead sea salts are all inorganic and some are very toxic. The reason they call it the dead sea is because it kills most biological life it come into contact with. It definitely is not the most optimal choice to detox your body. What are the main benefits to the skin? Getting the toxins out greatly enhances the health of the skin and body and increases the effects of our other products. 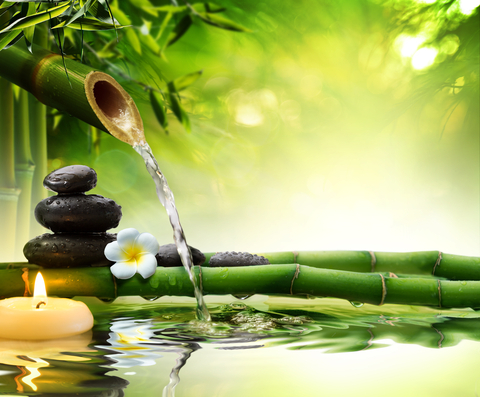 Plus the deep sense of relaxation has profound health benefits. It seems like I lose weight afterward does this help with weight loss.? 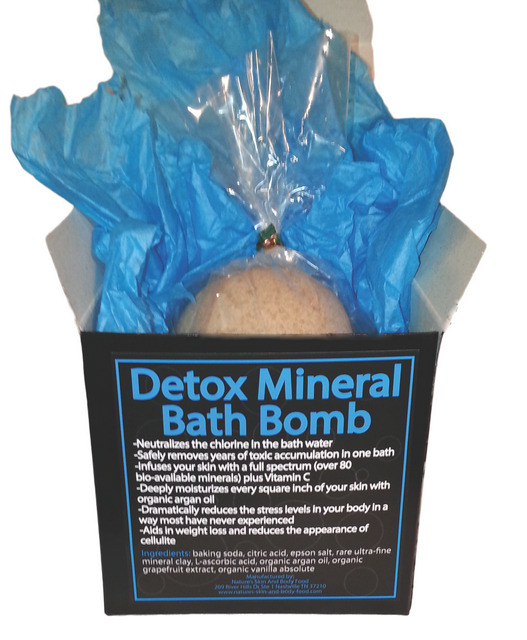 Anything that reduces toxins will help with weight loss, this detox mineral bath bomb definitely has an effect in this regard. Does this help with cellulite? Yes, the dimpling effect is reduced and your skin is smoother. Can I apply lotion afterward? Yes, most likely you won't feel the need to, your skin will be very moisturized from the bath.